full keel, heavy cruiser, huge interior and aft owners stateroom with private head and shower. triple A/C and low time 10KW genset. Huge fuel and water tankage in F/G tanks(no risk of leakeage). 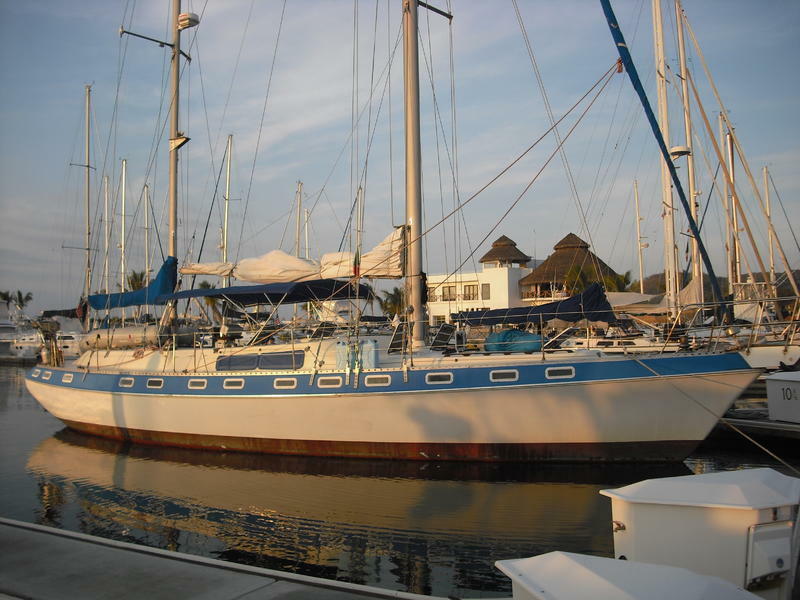 Newer sails and exceptionally clean and well maintained.. just off 2 year cruise with no problems, ready to go anywhere or make perfect liveaboard. moored in mission bay, san diego. perkins main and genset,ideal windlass, twin bruce anchors… all necessary gear for serious cruising.